Another weekend with rubbish weather. It’s snowing pretty hard today so there is no way I was going to get to do any thing either on the car or in the man cave. I wanted to get that wheel off and get the slow puncture fixed. I could push her out to get access to the wheel, the problem would be trying to push her back in again in the snow. One false slip and the trunk would have a new rear spoiler in the shape of my two front teeth. Not good! I did get out to the man cave for a little while to have a tidy up again. I decided to have a rearrangement of my tool chest with the new tools I got for Christmas. They all have a new home now and lined up like soldiers. Am I the only sad person that does this to make their tool box nice and neat, or do I need help? While in my man cave I noticed some birds looking for food and not having much luck. I must admit I tend to spoil my little feathered friends, I do an extra slice of toast in the mornings and break it up for them if I have toast before I go to work. Given the choice of plain bread or toasted, the toasted bits always goes first. As it was so cold I came in and done a couple of slices of toast, broke it up and put it on the bird table for them. It soon went, I do worry about them, as we have this little understanding, I feed them and they don’t try and use my cars for the local avian cesspit, sometimes they breach this understanding, so the next day they go hungry, they know the rules! As I couldn’t do much I decided to finish up my heater plenum work write-up. I had taken some photos but that was before I decided that I was going to do this blog. The pictures still shows what a bad way it was in and then the finished results. You can see the process and why I had to do it all under the “Photos, Heater Core Issues & Repairs” or click here for a quick link. There is also a mini review in there for the heater case seal kit. Lets hope the weather improves so I can get out there and do some worthwhile work on my car again. If I hadn’t of got my Coupe in the garage when I did it may have looked something like this! The fact I have posted for the third time this weekend shows just how frustrated I am, in an automotive way of course. 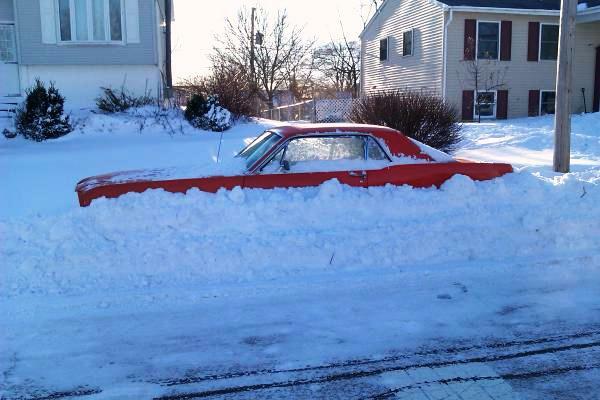 This entry was posted in Blog, General, Photo's, Reviews and tagged birds, blog, coupe, garage, heater, issues, man cave, photos, plenum, snow, soldiers, spoiler, toast, tools, wheel. Bookmark the permalink.